← Sons and mothers and Jackie O. Bob Moyer is flushed with pleasure after reading this novel, and he hopes you’ll go straight out to get a copy. More poker puns welcomed. BLUFF. By Jane Stanton Hitchcock. Poisoned Pen Press. 264 pages. $26.99. When “Mad” Maud steps into a Manhattan restaurant and shoots billionaire financier Sun Sunderland, she starts a journey that rushes the reader from the high society of the Upper East Side to the flops, folds and flips of the world of poker. From salons where tea is sipped in bone china cups, to poker parlors where pizza crusts are plucked from the garbage, author Jane Stanton Hitchcock takes us on a highly entertaining ride. Familiar with both New York Society and poker — she’s played in the World Championship — she creates a vivid context for the Bluff. Because this is not just a story that makes fun of society, and elevates poker to philosophy for life. It’s about Maud, a master poker player who is playing for the biggest stakes of her life. When Maud shoots Sun, he’s sitting next to Burt Sklar, the man who made Maud mad. Many years ago, Sklar, taking a page from Bernie Madoff’s playbook, swindled Maud’s mother out of the family fortune. Maud hasn’t been able to get anyone’s attention — until now. A master poker player herself, Hitchcock keeps her narrative cards close to her chest as the game unfolds. When she plays a card, the plot twists so hard it gives the reader whiplash. Maud’s plan comes out of Hitchcock’s pen slowly, but steadily. Meanwhile, of course, all the sympathy in the book goes to Maud. Very rarely has an author succeeded in actually getting readers to cheer a killer so heartily. 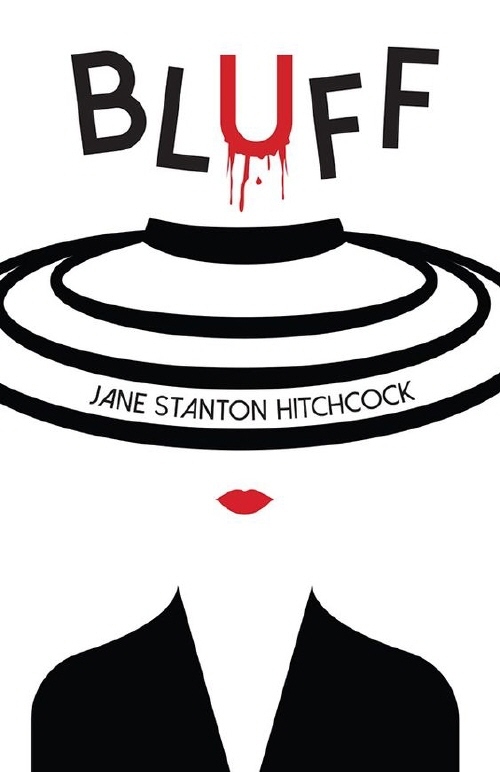 Like the best of heist movies, Bluffputs us on the edge of our chairs. After the “river,” when all the cards are out, Maud pulls the Bluff— and it’s a beauty. Both she and the reader are all in by now, and the denouement is most satisfying. As one of the book’s blurbs says, Bluffis a royal flush of a novel. This entry was posted in Mysteries, Popular fiction, Thriller/Suspense and tagged "Bluff", Jane Stanton Hitchcock. Bookmark the permalink.